Haematuria means there is blood in the urine (wee). Normally there is no blood in the urine. Often, children with haematuria have no symptoms. If there is a lot of blood, the urine may be red or dark brown. In most children, haematuria is not serious. In some children, it is a sign that there is a problem with their kidneys and these children may need special treatment. any long-term effects of haematuria. The bladder is a bag that stores urine until we are ready to urinate. It sits low down in the tummy area. Haematuria means there is blood in the urine (‘haem’ means blood). Specifically, there are red blood cells in the urine. These are the cells that carry oxygen around the body, and give blood its red colour. Haematuria is normally due to the kidneys leaking red blood cells into the urine, but it may be caused by other reasons. There are two types of haematuria. Macroscopic haematuria – also called visible haematuria or gross haematuria. This means that the blood can be seen in the urine. The urine is coloured red or dark brown (like a cola drink). Microscopic haematuria – also called non-visible haematuria. This means that the blood cannot be seen in the urine. It can be found by a urine test. It is not known how many children have haematuria. Visible haematuria is rare. Most children with haematuria do not have any symptoms. If your child has any of the above symptoms, take him or her to your doctor for a urine test. Some children with haematuria have high blood pressure (hypertension). In some children, this causes headaches, vomiting (being sick) or blurred (fuzzy) vision. because of a condition that affects the kidneys, causing them to leak red blood cells. A small number of children have large amounts of blood in their urine, or have haematuria that keeps coming back. This may be a sign that there is damage to their kidneys. Your doctor will try to find out what is causing the haematuria in your child, though this is not always possible. Your child’s doctor can diagnose (identify) haematuria with a urine test. If your child has symptoms of haematuria, such as red or dark brown urine, your doctor may arrange a urine test. Or, your child may have a urine test for another reason, such as a routine health check. Your doctor will also speak with you and your child about his or her symptoms and examine your child. If the first urine test shows there is blood in your child’s urine, your doctor may arrange for more urine tests. This can help find out whether the haematuria is serious. Your child may need further tests, such as blood tests. Some children also have proteinuria – more protein than normal – in their urine which can be seen on the urinetest. These children will need more tests to find out the cause. Many children will not need treatment. Some children will need to be monitored or treated. If your child has hypertension, this will need to be controlled. He or she may need to change what they eat and drink and may need to take medicines to reduce their blood pressure. For many children, haematuria will go away with time without treatment. In a few children, haematuria is a sign that there is a problem with their kidneys or another part of their urinary system. Your doctor will speak with you and your family about any long-term effects your child might have with haematuria. because of a condition that affects the kidneys. In many children, haematuria is mild. Haematuria normally happens when the kidneys leak red blood cells into the urine. The kidneys have many tiny filters. They normally help remove extra water and waste, which are passed out in urine, and make sure the body keeps what it needs, including blood cells. Sometimes haematuria can be mixed up with other things. Some foods, such as beetroot, can make the urine turn a reddish colour – this is not the same as blood in the urine. Some medicines can also make the urine turn a reddish colour. These medicines include rifampicin, nitrofurantoin and senna. Occasionally, there are other reasons that urine is a different colour than usual. Your child’s doctor or nurse will check for these. the blood is not visible and it goes away when checked again. A common cause of macroscopic haematuria (where there is visible blood) in children is a urinary tract infection (UTI), when germs get into the urine and travel up the urinary system. The haematuria usually disappears after the child gets better, and does not cause any long-term problems..
After some types of surgery, blood may get into the urinary system. Your surgeon or doctor will give you more information. Rarely, haematuria is caused by conditions that affect the kidney. Occasionally, haematuria happens with post-infectious glomerulonephritis (PIGN). This condition happens in some children after they get an infection – usually in the throat, nose or sinuses, or the skin. About two weeks later, the immune system, which normally protects the body from infections and disease, causes inflammation (swelling) in the kidneys. This leads to PIGN. Vasculitis happens when the blood vessels in different parts of the body become inflamed. This can sometimes affect the blood vessels in the kidneys. Kidney stones are small crystals, or clumps of hard material, that form in the kidney. They can cause pain when urinating. They are rare in children. Blood clots (or thromboses) are clumps that form when the blood hardens. Renal vein thrombosis is a condition in which there are clots in the renal vein, the blood vessel that brings blood to the kidneys. This condition is most common in newborn babies who need an umbilical venous catheter. This is a flexible tube that is placed into the vein in the umbilical cord (where the tummy button is). Other blood diseases where the blood does not clot properly, such as sickle cell disease, may cause haematuria. 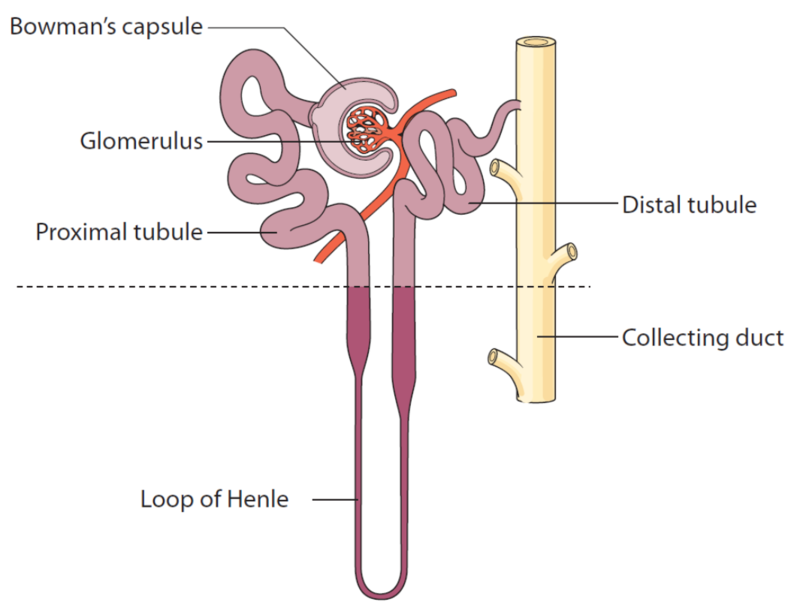 Thin basement membrane nephropathy is a rare condition that can run in families. One layer of the glomerulus leaks blood. This layer can look thinner than usual when looked at under a very high-power microscope. It does not usually cause long-term problems. blood clots in the kidneys. Your child’s doctor can diagnose (identify) haematuria with a urine test. If your child has symptoms of haematuria, such as red or dark brown urine, your doctor may arrange a urine test. Or, your child may have a urine test for another reason, such as a routine health check. Your child’s doctor may talk to you or your child about his or her symptoms and any medicines that he or she takes, and examine your child. Your doctor or nurse will check your child’s blood pressure to find out whether it is in a healthy range. You, or a nurse, will need to collect some of your child’s urine in a small, clean container for a urine test. A dipstick will be dipped into the urine – this is a strip with chemical pads that change colour depending on what substances are in the urine. This shows whether there is blood in the urine. If the first urine test shows blood in your child’s urine, your doctor may arrange for more urine tests. This can help find out whether the haematuria is persistent, which means that there is blood in the urine every time it is tested. The samples may also be sent to a laboratory for more accurate tests. You may need to test your child’s urine at home to find out whether the haematuria goes away or comes back. You will need to collect a sample of your child’s urine each morning, and test it with a dipstick. Your doctor or nurse will give you some equipment and show you what to do. Because haematuria can happen with urinary tract infections (UTIs), your child’s urine may need to be tested to find out whether there is an infection. The test is called a urine culture. proteinuria (protein in the urine). A small amount of blood may be taken from a vein, with a needle and syringe, for a blood test. Special gel or cream can be used to help your child stop feeling any pain. Some children need imaging tests (scans). These use special scanners that get images (pictures) of the inside of their body. The most common test is an ultrasound scan, but occasionally other imaging tests are used. If your child needs one or more of these tests, your doctor will talk to you about the procedures, any risks and how to help your child prepare for them. MR urogram - uses powerful magnets and radio waves to build up a very detailed picture of parts of the urinary system. Sometimes a special dye is injected into the vein to show parts of the body more clearly. Your child lies on a bed which passes through a large machine with a tunnel. Cystoscopy – a flexible tube with a camera on the end is placed in the urethra, the tube that carries urine from the bladder to the outside of the body. The camera takes pictures of the urethra and bladder. This test is usally done under general anaesthetic. 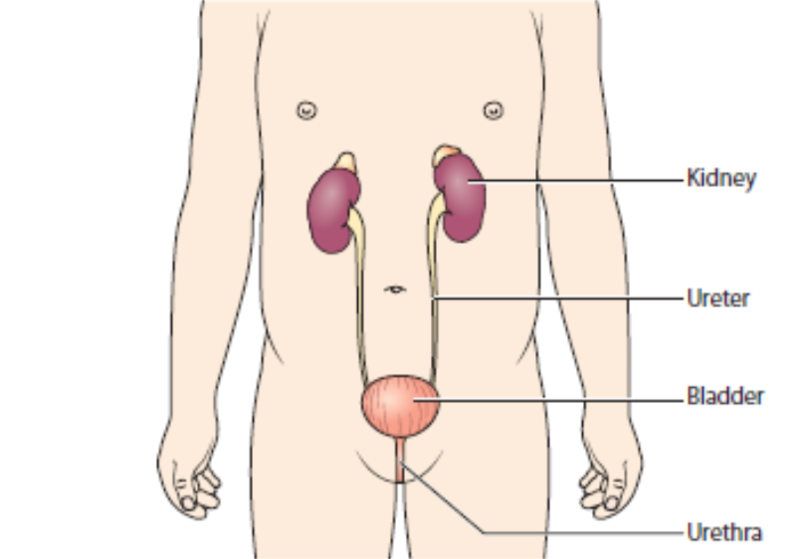 Intravenous urogram – an abdominal X-ray test to look for kidney stones. Your child sits or lies still for a few seconds while a machine takes X-ray images. A special dye is injected into a vein. This dye shows up on the X-ray so that the kidneys, ureters and bladder can be more clearly seen. This test is rarely used. Some children need a kidney biopsy. A tiny piece of one kidney is removed from the body with a needle. This is examined under special microscopes. Special medicines are used so your child does not feel any pain or can sleep through the procedure. It can take a few weeks to get the results. A few kidney conditions that cause haematuria are hereditary, which means that they can be passed down by one or both parents and may affect other people in the family. These include Alport syndrome and thin basement membrane nephropathy. Depending on the test results, your doctor may want to test other members of the family. if your child also has proteinuria. whether your child needs treatment. Some children do not need any treatment for haematuria. They may need to go back to the doctor for follow up and to check whether the haematuria comes back. kidney damage, if it is suspected. 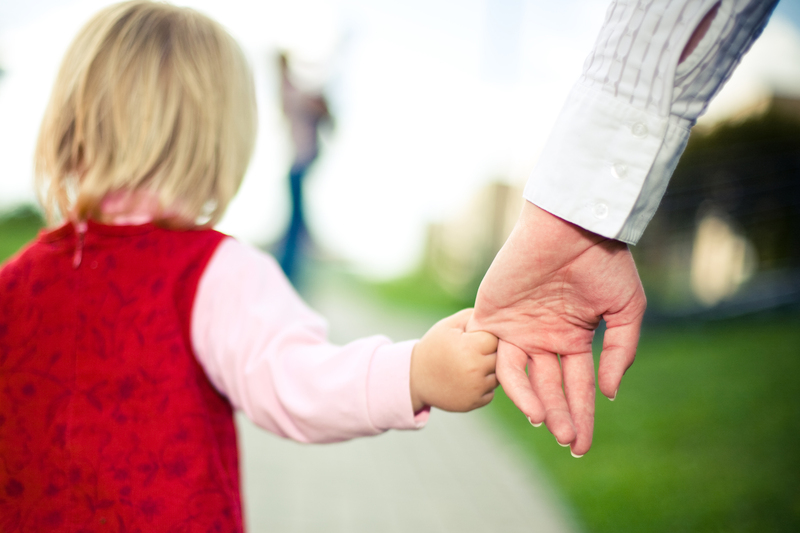 It is important that your child follows the treatment plan outlined by your doctor. Some children with haematuria have high blood pressure, (hypertension). Their blood pressure will need to be controlled so it is in a healthy range. If your child has hypertension, he or she may need to change what he or she eats and drinks. Some children need to take medicines. Your child may need to make temporary changes to what he or she eats – for example, less salt and less of certain foods. Your child may also need to drink less fluid, such as water, squash and soft drinks. Your doctor, nurse or a renal dietitian, a professional who advises what your child should eat and drink during different stages of their kidney condition, will help you and your child make these changes. Your healthcare team will speak with you and your family about any long-term effects your child might have with haematuria. It is important that your child keeps all the appointments for these tests, to help prevent long-term damage to his or her kidneys. Children who have haematuria can usually do the things that other children their age do. Often no treatment is required and they should be able to continue going to school or nursery. They can play with other children and stay active. Some children may need to change their diet and take one or more medicines. This can be a stressful time for your child and the whole family, including other children. If your child’s haematuria is due to a more serious kidney problem, your doctor or nurse will give you more information. If you have any concerns or need additional support, speak with your doctor or nurse. This is the end of the information on haematuria. If you would like to read more about other conditions affecting the kidneys, tests and diagnosis, treatment or supporting information, you can find a list of topics covered on the infoKID website at www.infoKID.org.uk.